Review PDF copy: Serious reviewers, please e-mail editor@moonwillowpress.com for a PDF review copy of the book. How far would you go to save the life of someone you love? Would you face your deepest fears? Would you walk into the dark belly of the bedrock Earth and rest your head on its bouldering fangs? Twenty-four year old Gillian Berry enters the haunting, narrow corridors of the Cave of Desperate Cries to save Neil Foster’s life, but discovers she must save her own. Cave Walker tells the story of Gillian Berry, a talented breakfast chef who works at her mother’s charming B&B, the Pointed Firs Inn. After Gillian foresees the death of her love interest, Neil Foster, she nervously journeys into the Cave of Desperate Cries in the deep woods of Maine, hoping to save his life. This cave is known to be a holy place where people go for miracles, but many have entered and not returned. The caves take Gillian on an adventure as she unravels the truth behind the “ancestor syndrome” in her family and tries to heal the trauma that has been passed down through five generations of women. When Gillian returns from the caves, she reunites with her estranged father, who is now a permaculture designer and lives in an eco-village. She learns the truth about Neil Foster and her premonition of his death. 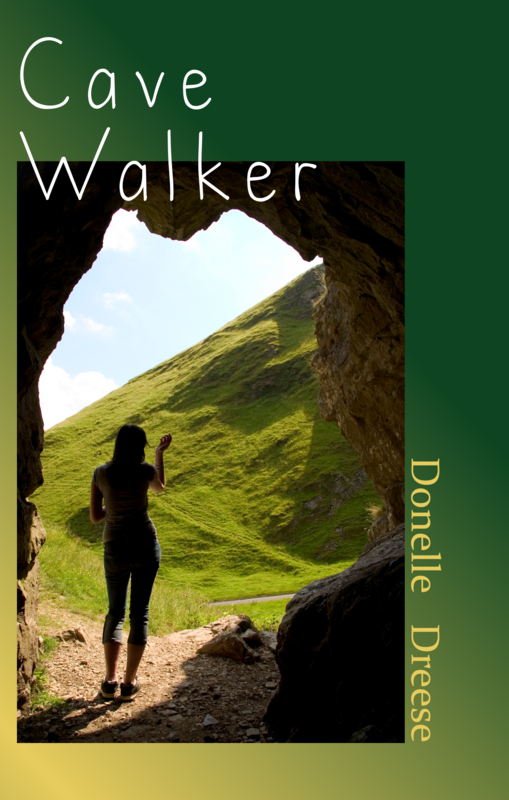 Her encounters while traveling the caves allow her to finally realize who she really is, a cave walker and a healer. The book cover concept art is licensed for use by Istock Photo and copyright by Thomas Barnes. With the wordsmith skills of this innovative author, you have an engrossing, well-paced read that’s hard to put down, a story that evolves, pulling the reader along, engaging them in the journey. -L.G. Cullens, moderator at writingforums.com and author of Calan’s Eden. “Gillian’s mother warned her to never talk about her mysterious ability. If people knew, they would shun and fear her. Her visions are a curse. And so she hides away at her mother’s b&b, working for her as a breakfast chef and holding her secrets close, until events demand she choose an even more solitary life, living in a cave in the woods in an effort to keep these premonitions from coming true. Cave Walker is about love, adaptation, change, and exploring one’s powers. As it follows Gillian through treacherous ways of thinking and the inevitability of foreseeing sometimes-terrible futures, it also serves a healthy portion of faith, ethics, and lessons that can be gained from shipwrecks, fear, denial, and the differences between psychosis and reality. Perhaps its greatest force is its lyrical language, which deftly captures Gillian’s ability to confront change, sorrow, and a journey in which “I had not arrived in time to save anyone.” Does being charged with an extraordinary ability translate to the need to change the future and rescue others? Can Gillian turn her powerlessness into power? And is prophecy a skill she can (or even would want to) teach others? There’s more going on here than the tale of a woman struggling with psychic visions: a host of other issues are raised as Gillian’s evolves, and these drive a novel that is evocative, compelling, and rich in reflections on faith, philosophy, ethics, and responsibility.